Apr 08, 2017: Barbell for around $200 or Less? Apr 26, 2017: CAP OB-86B or Rep Stainless Steel Power Bar? May 10, 2017: Step into my dojo! May 29, 2017: Trying to make my small screened patio into a small workout gym, let me know what you think! 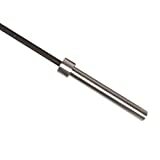 Jun 14, 2017: Where to buy the cheapest new barbell worth buying in Canada? May 04, 2018: CAP OB-86B vs Rep Sabre Barbell? Oct 29, 2018: Is the CAP Barbell Olympic Bar best barbell on a budget? Nov 09, 2018: Purchasing gear for a home gym - Recommendations? Nov 09, 2018: CAP Barbell Budget-Effective Option for someone never expecting to lift more than 500lbs? Terrible Quality? Mixed reviews? Dec 22, 2018: After exhausting other options, what are the most recommended equipment to buy off Amazon when building a home gym?